Driving to West Texas from Austin was surreal and inspiring. The forecast for the drive out said heavy showers, which you have to take with a grain of salt in Texas. We pray for rain, but that doesn't mean it's coming. Thankfully, though, the rain did come and it poured pretty hard for the last three hours of our drive in the desert. After a long summer, you could feel a grateful sigh of relief from the downpour. Driving back was a completely different experience, as suddenly we could clearly see the mountains and those huge Texas skies. For a 7-hour drive, we saw about 3-4 hours of this kind of magic out the window. "the days I keep my gratitude above my expectations, those are the good days." That's my new mantra, possibly to be carved in leather soon and hung above the front door. This week I received a sweet care package from a new friend in Sussex, the start of a fun collaboration that I'll be sharing more in the next few months. It got me thinking about my limited time in the UK, and how much more I'd like to explore. 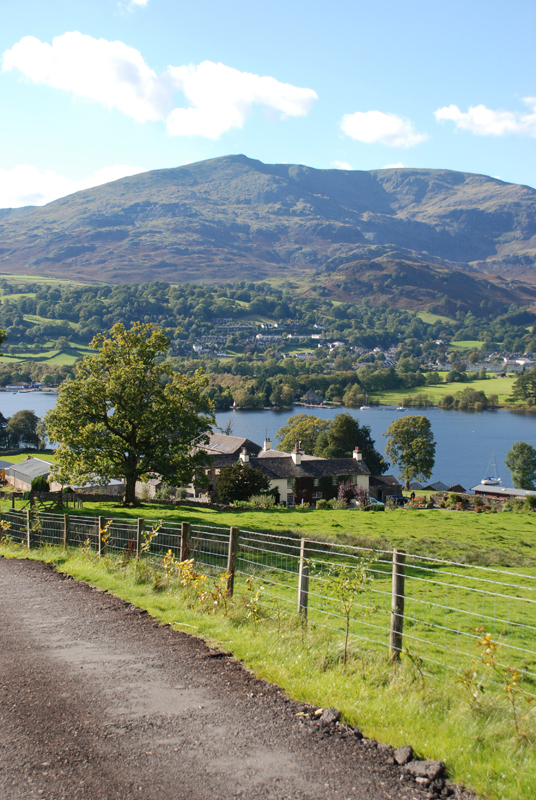 Yvonne Eijkenduijn's beautiful photos of the Lake District are just the trick to transporting my thoughts to rolling hills and clear blue lakes. Some scenes from my favorite nursery, Flora Grubb Gardens in San Francisco. If you couldn't tell, I'm on a succulent kick of late. Trying to fill my house and studio with as many as I can. Just made a date to built a vertical succulent garden with some like-minded friends in April, photo to come. 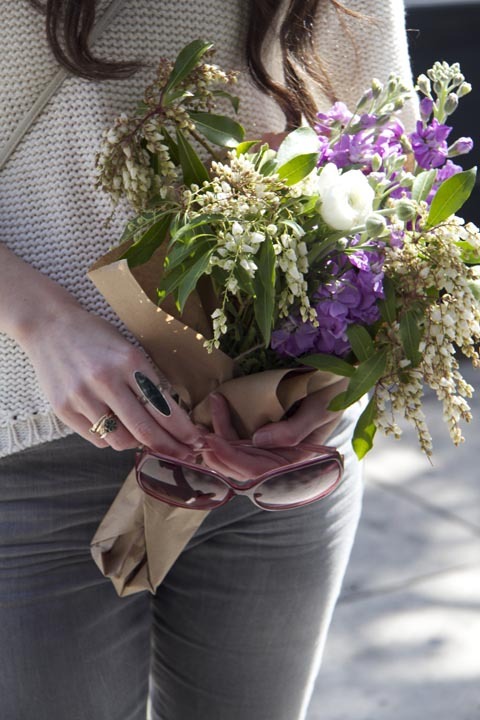 Lili Cuzor is a talented florist and designer based in Los Angeles. 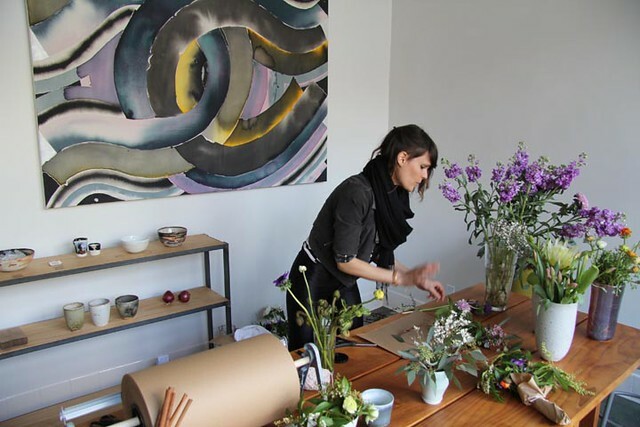 This past Valentine's day, she set up a pop up shop at Cookbook, a pretty amazing neighborhood grocer in Echo Park, and created some spectacular wildflower arrangements for lucky folks. I met Lili back in my college days in LA, and she's more than a bit of magic. Another good example of lovely people making lovely things and putting some good out in the world. 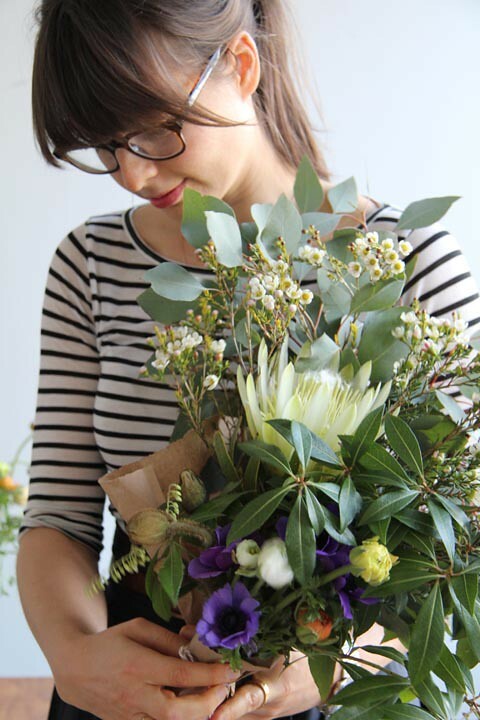 Her blog, Tigers to Lilies, is chock full of beautiful flowers and other inspiring posts, so check it out. Photography by Lili Cuzor, with more here. 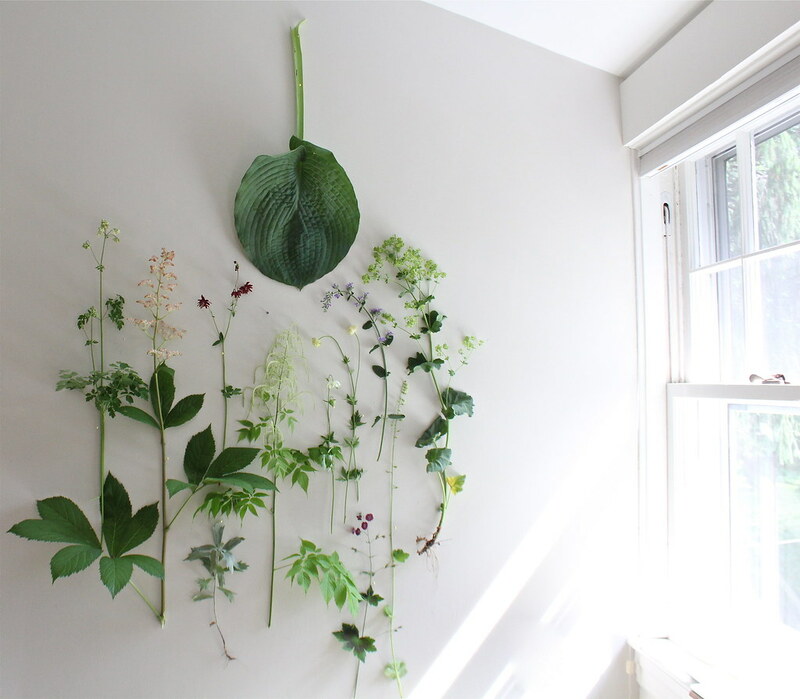 Lately I have been dreaming of a studio filled with plants. This photo by Kim Ludy struck me as a beautiful and simple arrangement of perrenials. Included in the set are meadow rue, rodgersia, columbine (a deep red purple variety), artemisia (valerie finnis), goastbeard, hosta "big blue", columbine 'green apple' (a double variety), trollius "alabaster", geranium samobor "mourning widow", tellima (alaskan fringecups), catmint, and lady's mantle. I am always in awe of folks who can identify plants by sight.